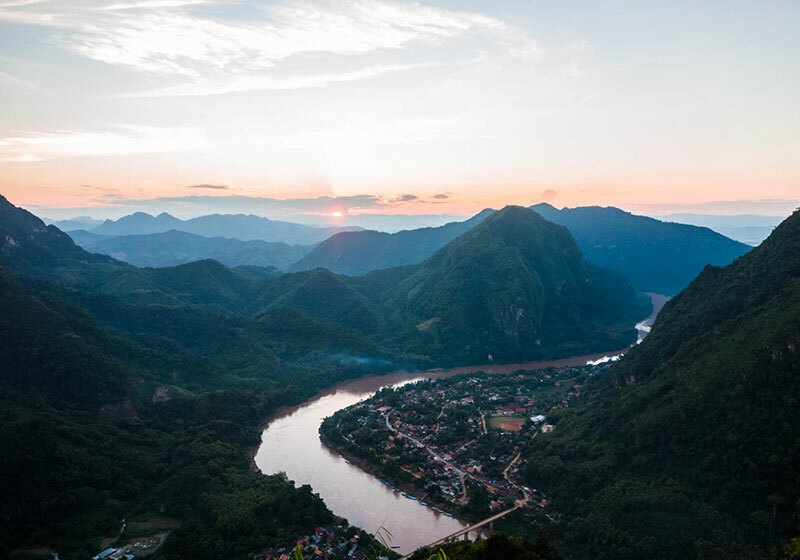 Nong Kiau, sometimes called Nong Khiaw, is a popular tourist destination in Luang Prabang Province because of its many walking, mountain climbing and biking opportunities. A must-see site is the bridge across the Nam Ou River that was built by China. The bridge connects the two parts of Nong Kiau, and is a good place to see stunning views of the river and mountains. Nong Kiau is a rustic village, so visitors shouldn’t expect truly luxurious accommodations. Spelunkers may enjoy exploring the Pha Tok Caves that are located about a mile from town. The caves housed villagers during the Second Indochina War. Short Description: Nong Khiaw is a village in the Luang Prabang Province of northern Laos. It's on the Nam Ou River, where tour boats and kayaks travel. Close by, narrow footpaths wind through jungle and ascend steep limestone cliffs for expansive views. Tham Pha Thok is a series of limestone caves that served as a shelter during the Second Indochina War. Small villages dot the nearby forested mountains and rice fields.